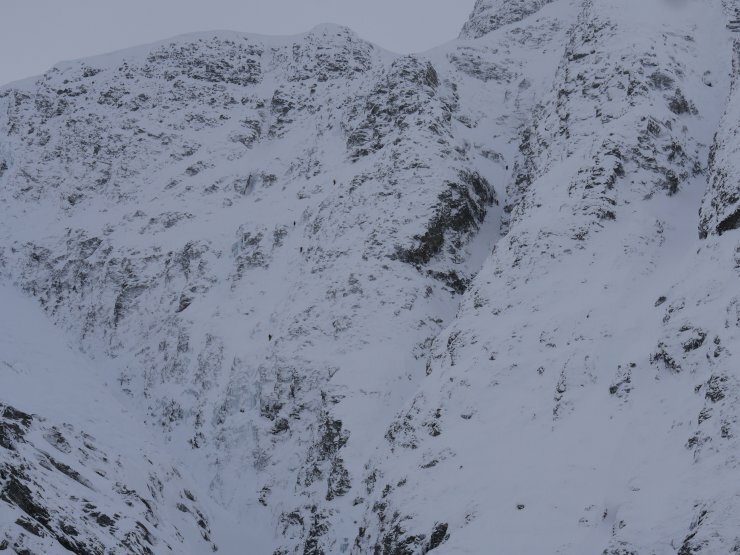 SAIS Creag Meagaidh Blog » Monday: kinda wintry. (Above) Looking east from the Inner Coire of Coire Ardair. 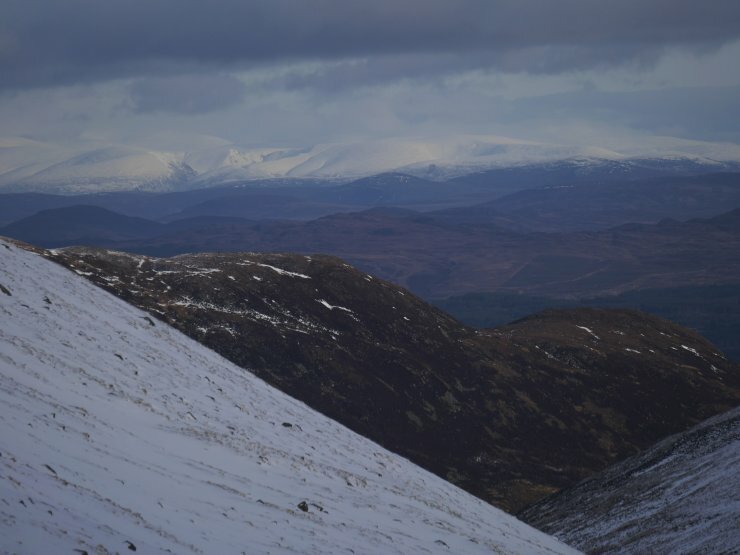 Glen Feshie hills in the far distance. Been away for a couple of weeks and returned to a reasoanbly wintry landscape. Nice! Hey-ho. 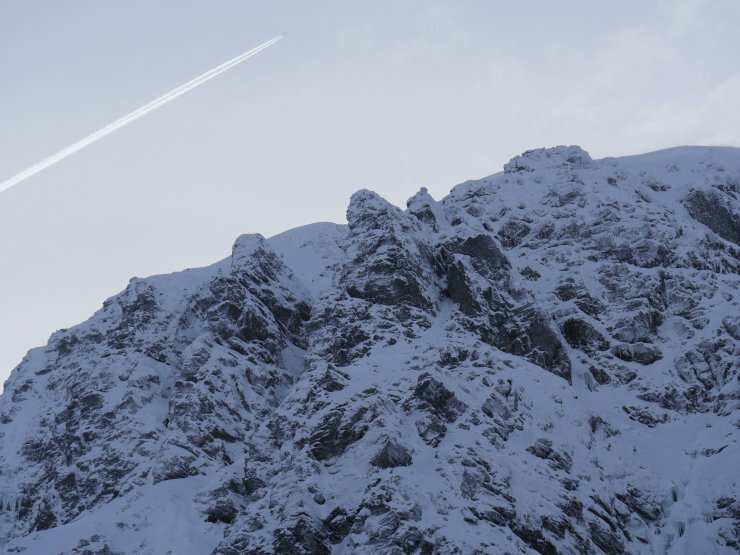 All part of the varied delights of the Scottish winter experience. 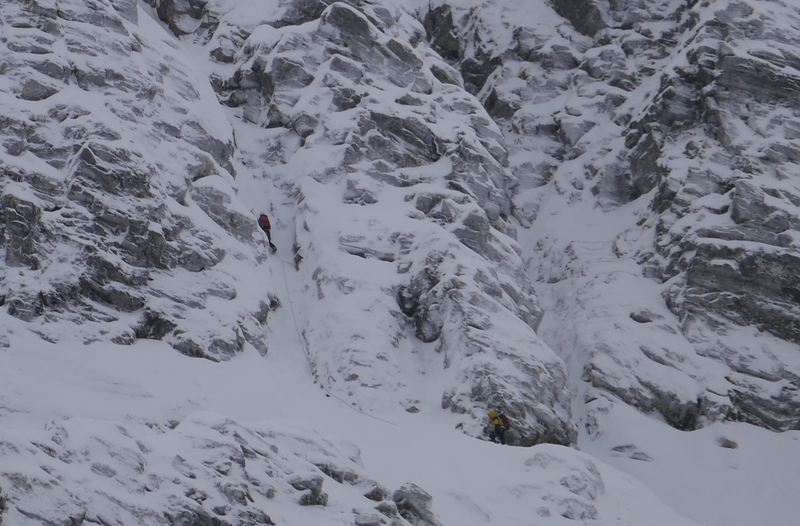 (Above) A shot of part of the Post Face of Coire Ardair. 4 climbers visible on Last Post and 2 others in South Post all enjoying pretty good weather conditions during the morning. Spotted some old avalanche debris low in the mouth of Easy Gully, probably from a day or so ago. 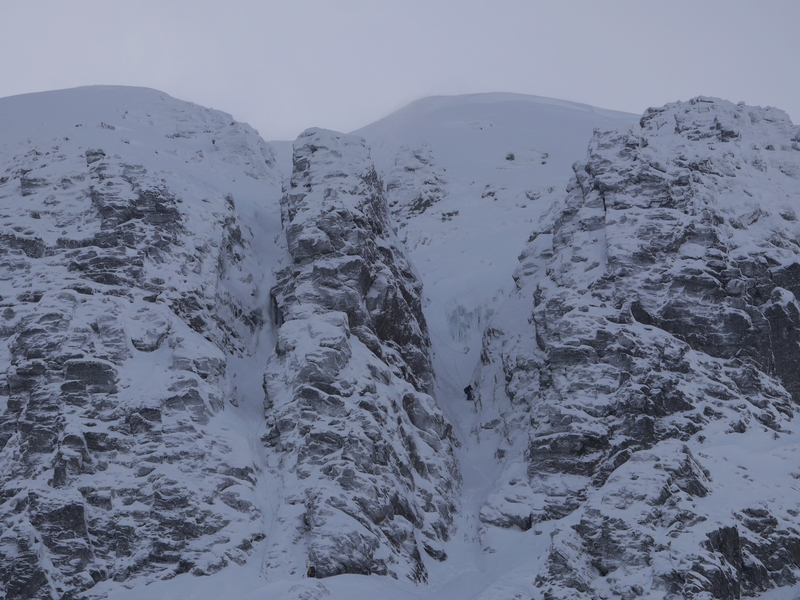 Older cornice debris also present between Pumpkin and Cinderella in the Inner Coire. 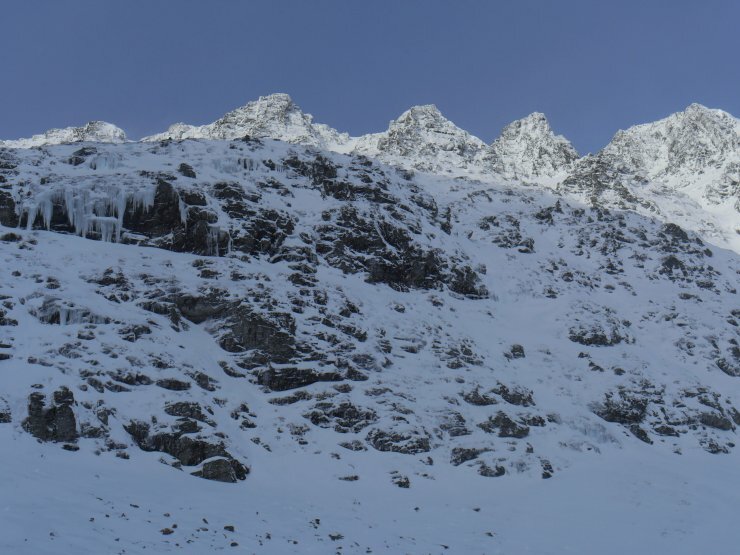 (Above) The Pipes – high on the skyline and just on the corner of the Post Face as it turns into the Inner Coire. 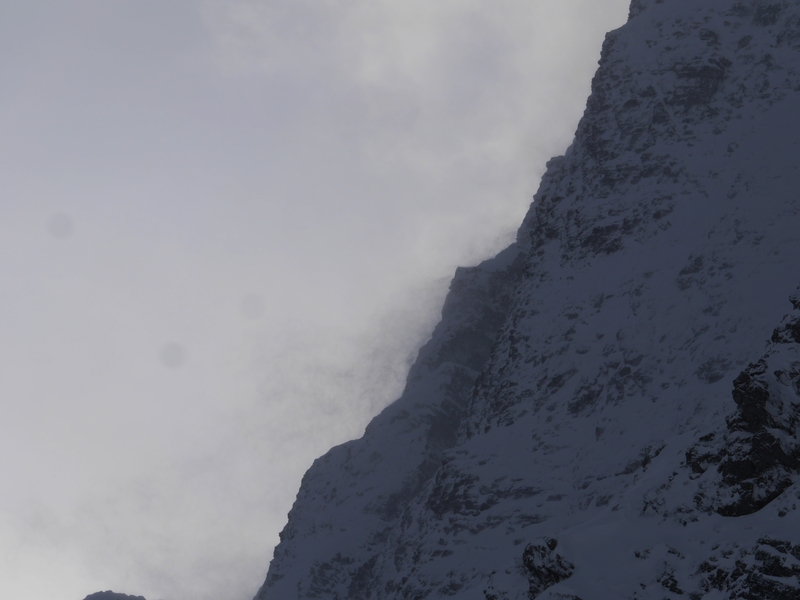 Just visible, one of a pair of climbers in the usual righthand exit route for Staghorn Gully. (Above) The Pipes again, this time a little later. A solo climber taking the lefthand option of The Pipes. (Look carefully at the lefthand side of the photo). (Above) The westerly wind picked up after 1pm, encouraging a little drifting and adding to the older windslab in these steep lee areas. (Above) …meanwhile. The south-facing crags on the opposite side of the Inner Coire looked quite inviting in the weak sunshine. 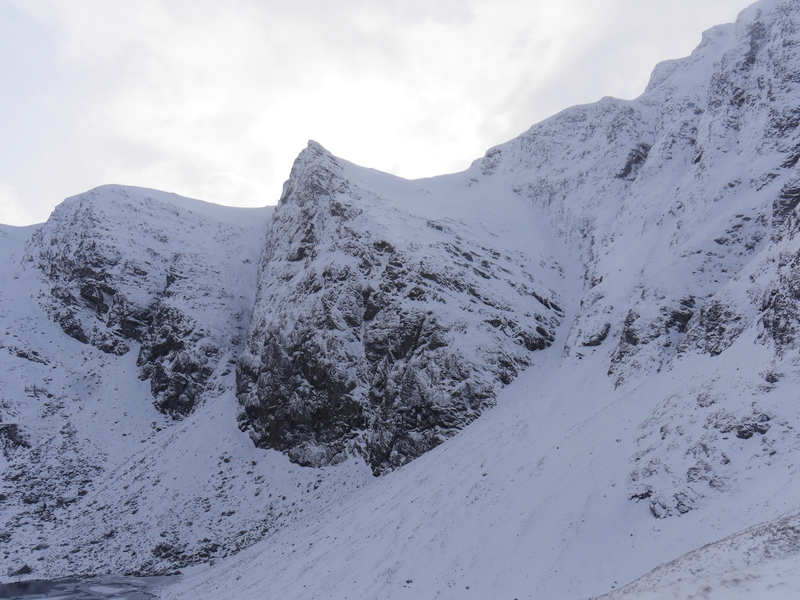 (Above) L to R: Bellevue Buttress, Raeburn’s Gully, The Pinnacle, Easy Gully and part of the Post Face. Climber in 4th picture doesn’t seem to be alone when you zoom in.. ropes leading up and behind the buttress separating the Pipes is just visible..which is probably just as well! Danny, you’re right. The climber with a yellow and black jacket does have a partner. Just reviewed my other photos from that day and found another one with his partner visible. I’ve added it to the original posting above. You have a forensic eye for detail! Haha! No worries… wish I had the power to push the jet stream 500miles to the south as well! !